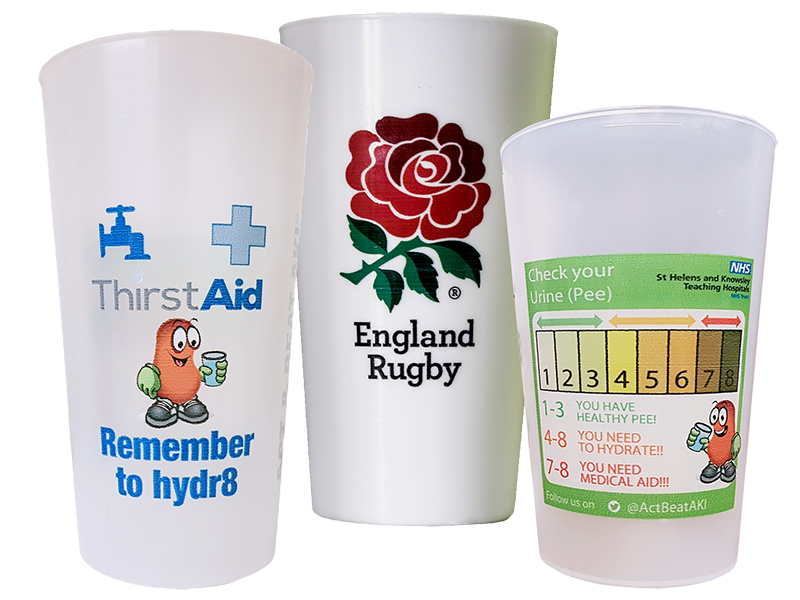 These UK made cups are perfect for sports events, concerts, office parties and many other occasions. Available with stunning full warp digital print. 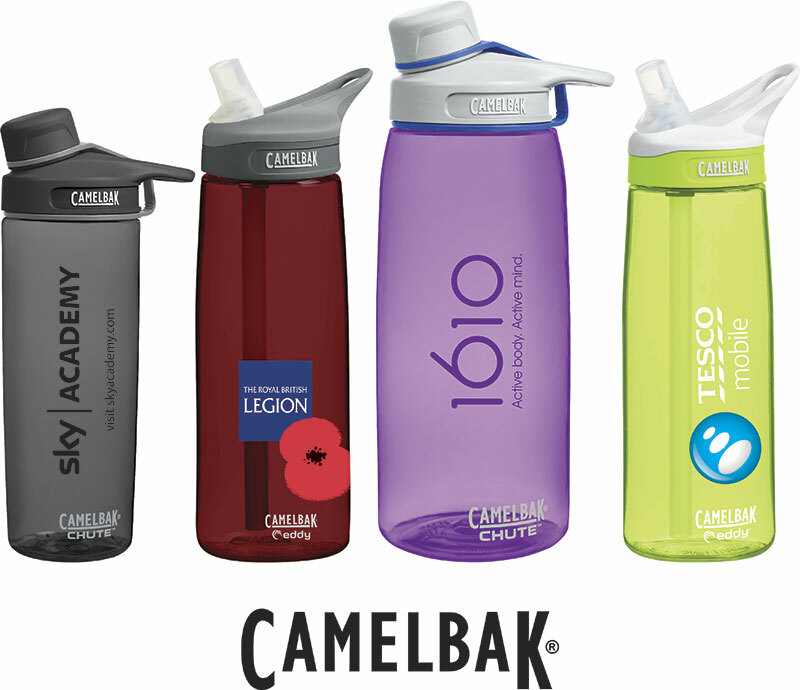 A rugged leak-proof design with either an ergonomic high flow spout or an easy to open half turn cap which is safely secured to a durable tether. BPA free. Complete with a lifetime guarantee. 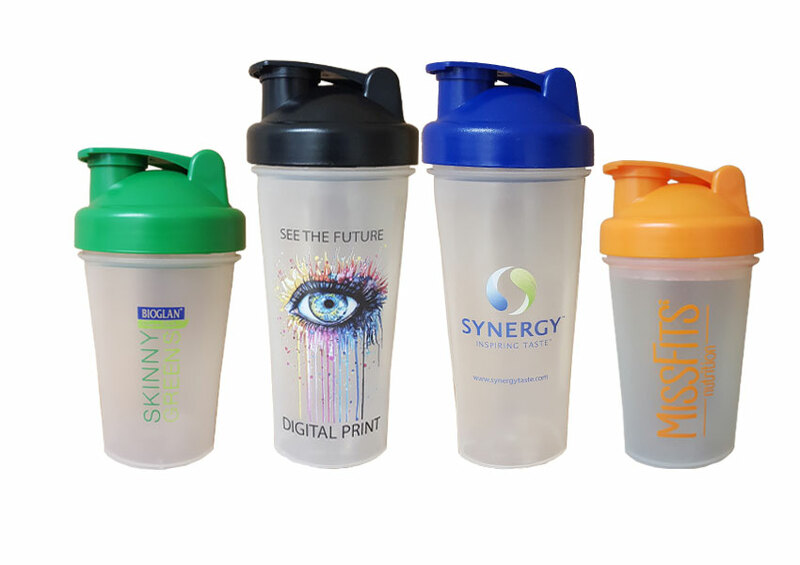 Our range of protein shakers are made from polypropylene. These products are perfect for all supplements, have a solid feel and are ideal for use on the go. 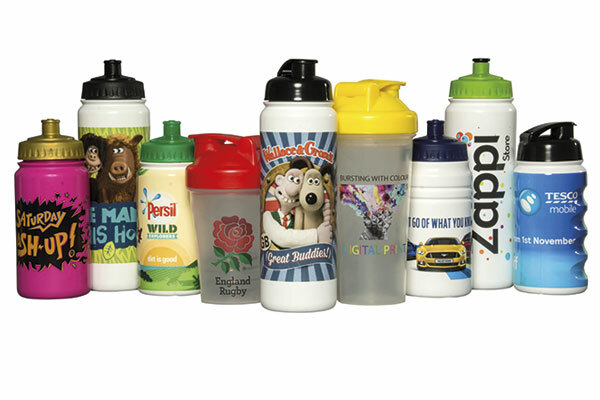 Our award winning technology allows us to offer sports bottles and protein shakers with fantastic full colour digital prints. We are the first company in Europe offering this.